Ocean acidification poses an increasing threat to marine ecosystems and also interacts with other anthropogenic environmental drivers. A planned response strategy could minimize exposure of socioeconomic systems to potential hazards and may even offer wider advantages. Response strategies can be informed by understanding the hazards, assessing exposure and assessing risks and opportunities. This paper assesses exposure of key socioeconomic systems to the hazards of ocean acidification and analyzes the risks and opportunities of this exposure from Small Island Developing States (SIDS) perspectives. Key socioeconomic systems that are likely to be affected by ocean acidification are identified. A risk analysis matrix is developed to evaluate the risks or opportunities arising from ocean acidification. 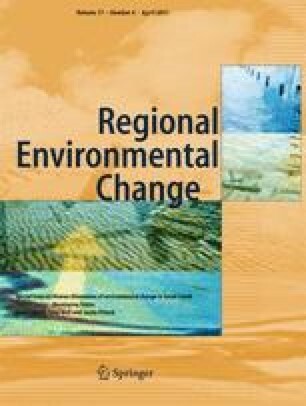 Analysis of the matrix reveals similarities and differences in potential adaptive responses at global and regional levels. For example, while ocean acidification poses significant threats to SIDS from more frequent toxic wild-caught seafood events and, potentially destruction of coral reef structure and habitat, SIDS may have a relative advantage in aquaculture and an important role to play in global marine ecosystem conservation. The online version of this article (doi: 10.1007/s10113-016-0949-8) contains supplementary material, which is available to authorized users. This work received funding from the ANU Australian Postgraduate Award (APA) to K.S and LD. K.S particularly thanked Associate Professor Karen Hussey, Professor Stephen Dovers, and Dr. William Howard for their assistance, encouragement, and support. K.S, MN, and LD also thank Dr. Tony Weir, Dr. Jamie Pittock, Dr. Ian Fry, and Ms. Stacey-Ann Robinson for their encouragement and support in the focus on SIDS. We also thank the anonymous referees for comments that helped improve the manuscript. K.S submitted a first version of this paper as sole author. Unfortunately, she was terminally ill at the time, so requested M. N and L. D to prepare this revision. K.S died on December 9, 2015; this paper is a posthumous tribute to her.